By MAHATIR PASHA CONTRIBUTED TO THIS ARTICLE. 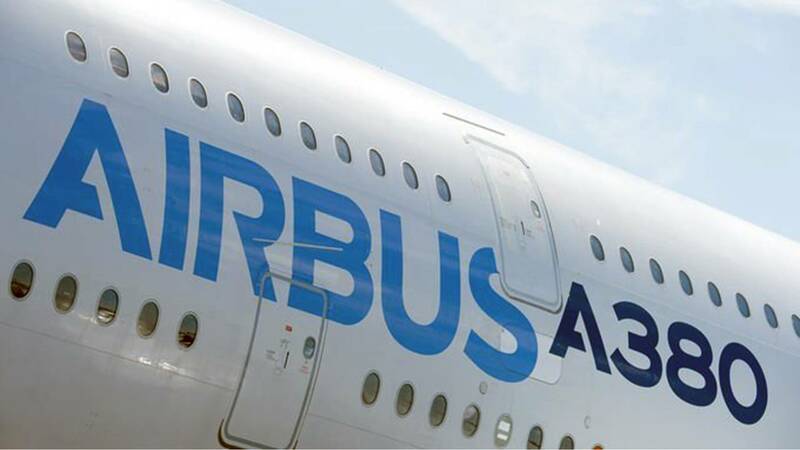 (CNN) - Airbus and Ford have issued stark new warnings about the dire consequences of Britain crashing out of the European Union without a deal to protect trade links and supply chains. Airbus CEO Tom Enders said in a video published on Thursday that a disorderly split would cause Airbus to redirect future investment. The planemaker could not guarantee its existing factories would survive long term. Ford (F) said that a 'no-deal' Brexit would cost it $800 million in 2019. The estimate reflects the cost of new tariffs and expectations that the British pound would decline in value, a Ford spokesperson said. The interventions by two major manufacturers will heap pressure on Prime Minister Theresa May to rule out Britain leaving the European Union without an exit agreement in place. But May is fast running out of time. Brexit is due to take place on March 29, and the deal she negotiated with EU leaders has been rejected by UK lawmakers. The stakes are high. Airbus employs 14,000 people in the United Kingdom and Ford has 13,000 workers in the country. They support tens of thousands more British jobs through their supply chains. Companies across the United Kingdom are clamoring for clarity. Sony said Wednesday it would move its legal base in Europe from London to Amsterdam because of uncertainty over Brexit. Financial services firms are moving $1 trillion in assets out of the country. Manufacturing companies are especially unnerved by the damage that snarled supply chains would cause. Enders was particularly frank about the potential costs. "The UK's aerospace sector now stands at the precipice," he said. "If there is a no-deal Brexit, we at Airbus will have to make potentially very harmful decisions for the United Kingdom." Airbus (EADSF) is headquartered in Toulouse, France, but has significant engineering and production facilities in the United Kingdom. One large production center in Wales makes the wings used on all Airbus civil aircraft. "Make no mistake, there are plenty of countries out there that would love to build the wings for Airbus aircraft," Enders said. UK Brexit Secretary Stephen Barclay said he took Enders' warning "very seriously." "What the chief executive and others in the business community are clear on is that they want a deal to avoid the uncertainty of no deal and that is why he is backing the prime minister," Barclay said in parliament. Enders said while Airbus couldn't immediately relocate its massive UK plants, consequences of a messy separation would be severe. "Please don't listen to the Brexiteer's madness which asserts that because we have huge plants here, we will not move and we will always be here," he said. "They are wrong."